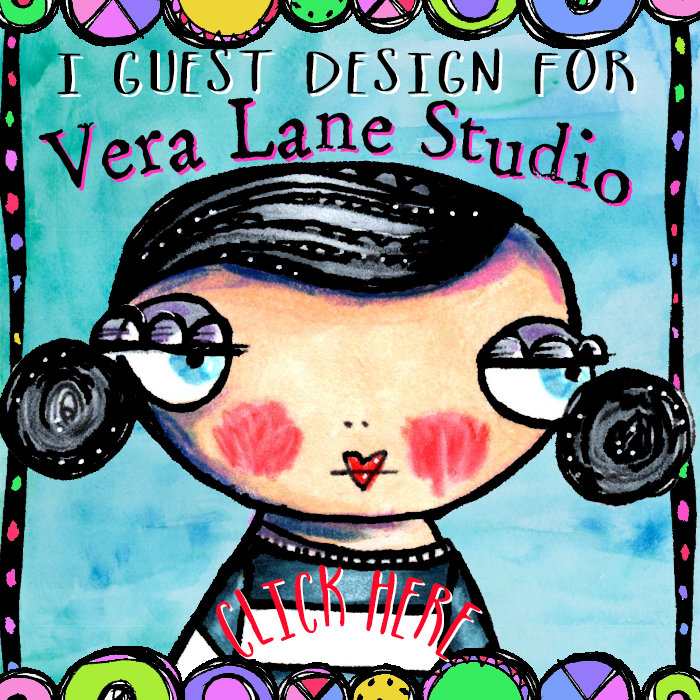 You have arrived on Vera Lane! 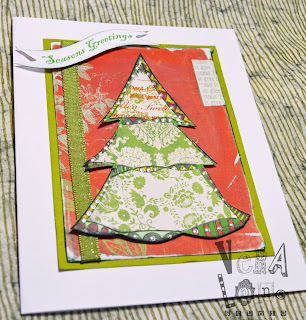 I’m excited to join the 2014 Stampotique Designer’sBlog team. 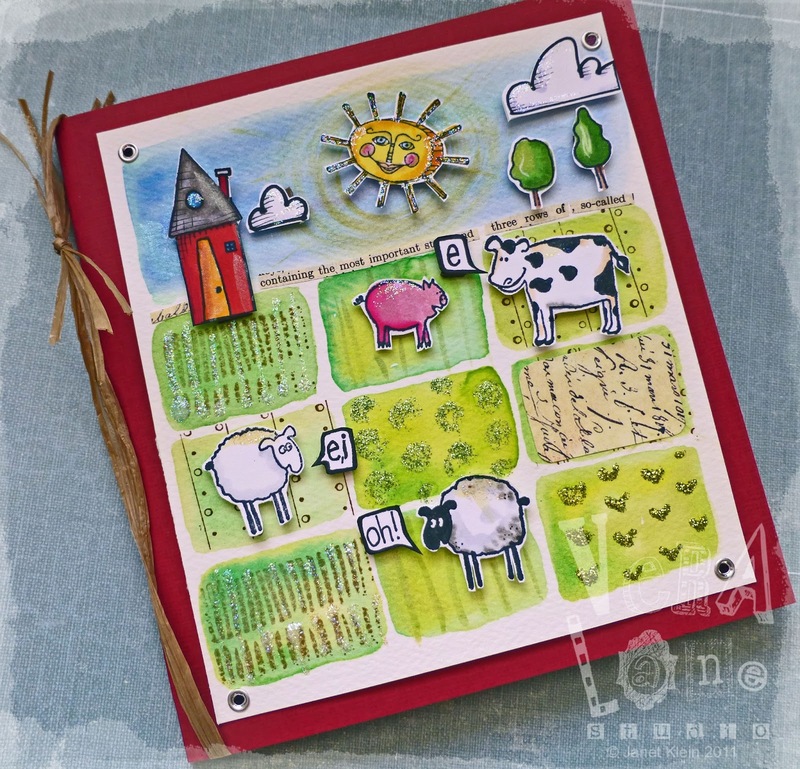 I will be posting on the Stampotique Designer's Blog Thursdays, come rain or shine. 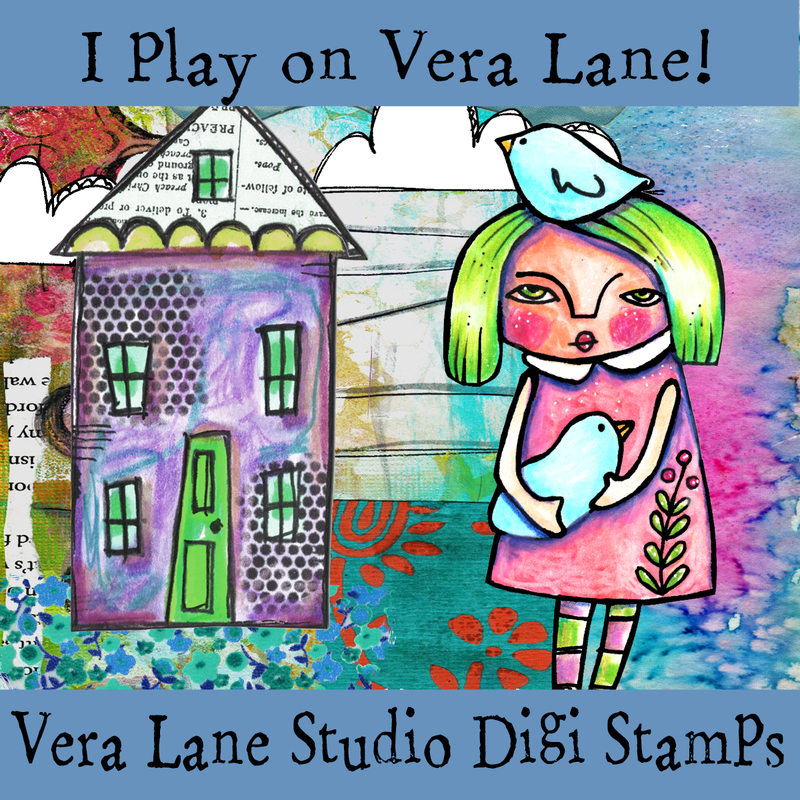 I have been designing images for Stampotique for about thirteen years and now I get to be on the other side, blogging my head off about these great stamps. 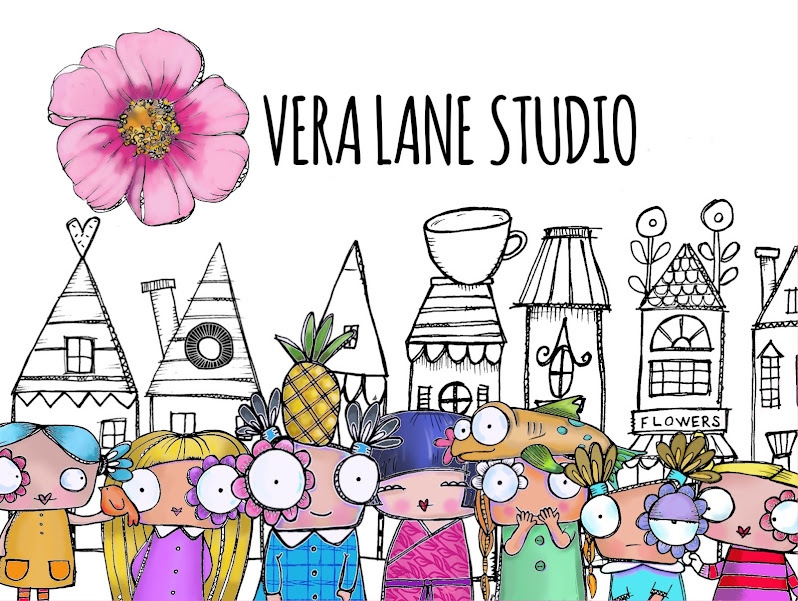 Our Design Team is absolutely inspiring, and often times genius! 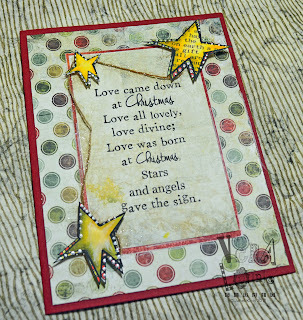 If you are new to stamping, a casual stamper, or hobby hooked, no doubt you will find inspiration from the weekly Designer's Challenges. Not all rubber stamps are created equal. Stampotique art stamps are not computer rendered. You are getting the precise image directly from the artist's pen. This is why art created with Stampotique art stamps looks so different from many mass produced stamps. So if you are not already a fan of Stampotique, please bookmark the above links. Don't wait until 2014 -- join us now! There is a new 9 image holiday digi set available in my Etsy shop. This set is a variation of images I created for Creative Publishing's recent issue of Simply Cards & Papercraft. Images and sentiments are combined to create endless combinations of holiday cards and tags. 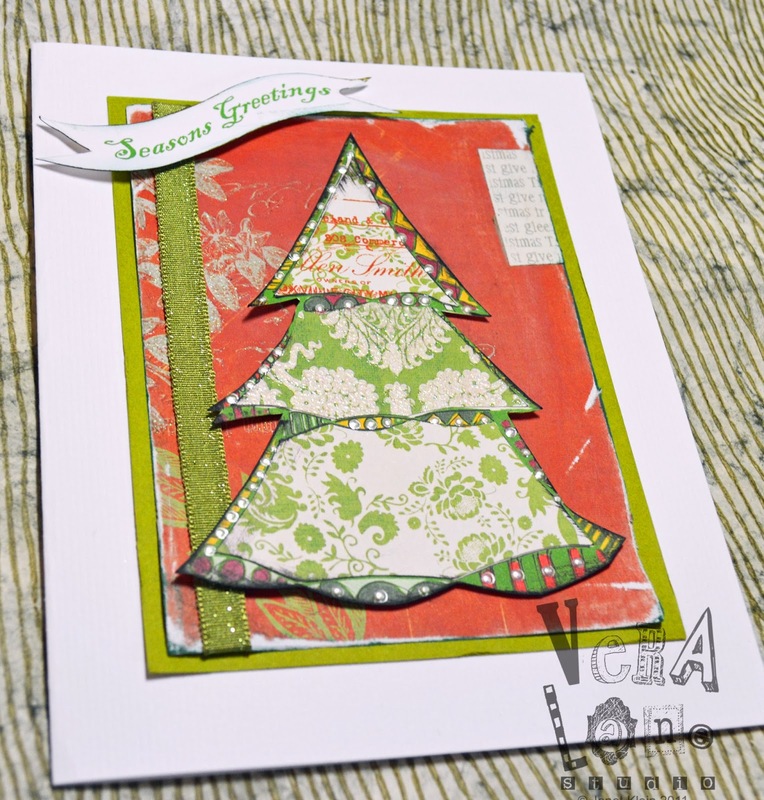 The designs are perfect for paper piecing. When paper piecing your digital images, it is wise to scale down your paper size. Trim your scrapbook paper, and adjust in your printer's paper size settings. 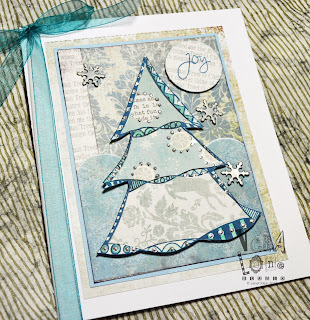 For the tree, I printed on blank cardstock as well as a variety of scrapbook papers. Once I cut out all my scrapbook sections I arranged the various patterns and glued them in place. The tree was cut again and mounted on color coordinated papers. Metal snowflake brads and Ranger Liquid Pearls were added accents. Glue dots were used to make the images dimensional. A little Distress Ink was applied to the paper sides after lightly sanding the edges. Coordinate your papers for a monochrome look or use color opposites for some contrast. I think the tree in combinations of pinks and cream would make a lovely and different holiday card. 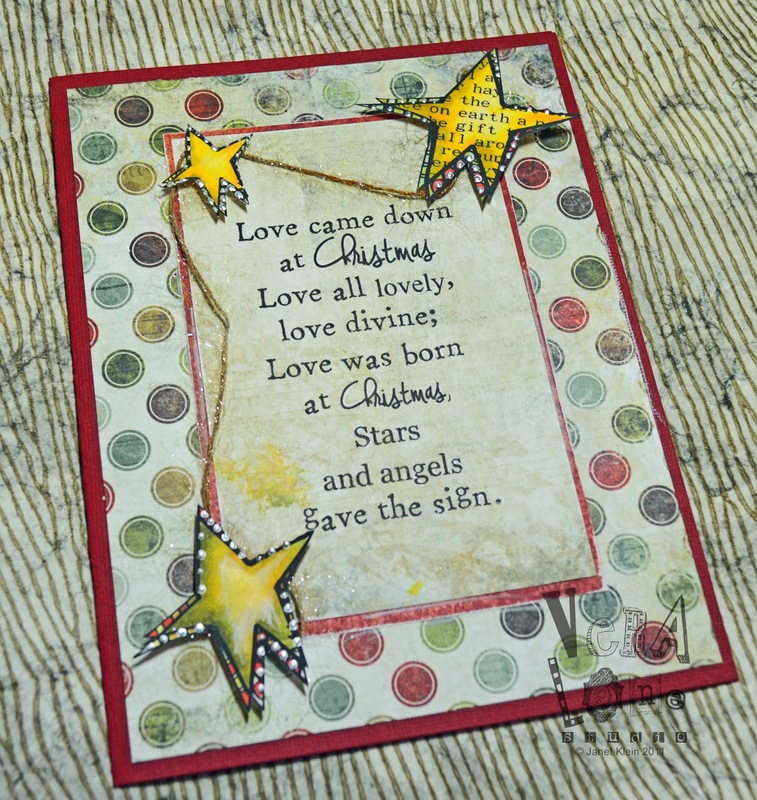 Prior to Stampotique's Designer's Challenge last week I had created a stack of backgrounds utilizing stencils, modeling paste, and gesso. I have a heavier gesso that worked well with a stencil, the lighter gesso was preferred to prime my paper surface. While the heavier gesso works well with stencils, I slightly prefer the modeling paste for this application. For this background: I scraped some gesso on cardstock with an old credit card. Shades of green and blue green acrylic paint were also applied with the card. 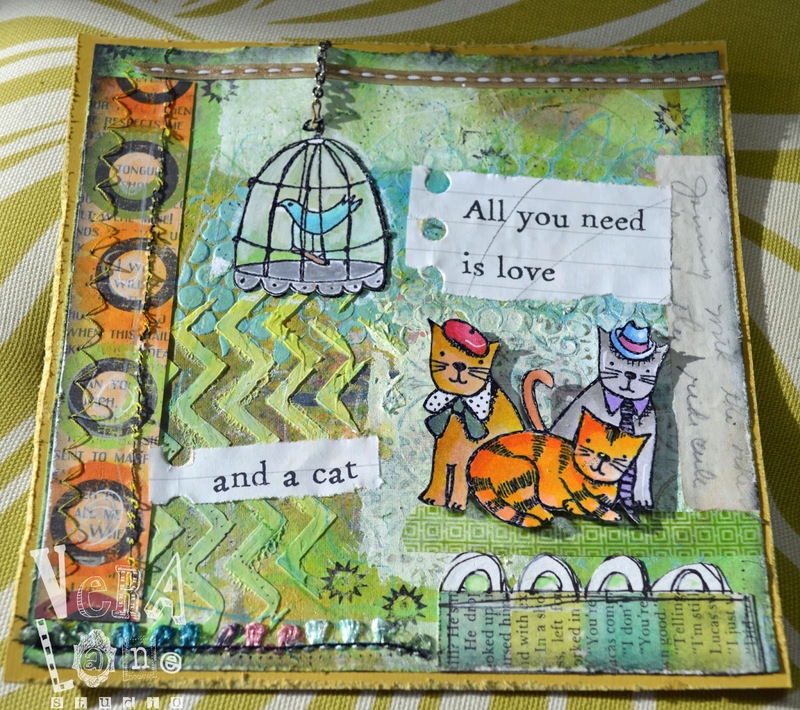 In the area behind the cat family I masked an section to create a block image with antique border and allowed to dry. Modeling paste was applied through a portion of a chevron stencil. I used Liqutex modeling paste in a tube with a flip lid. It's a simple motion to squeeze some paste onto the stencil and scrape. I can flip the top back without stopping to cap a container to prevent my product from drying out. This may not sound like a big deal, but when you are working with mixed media and accumulate a mess in the process, it is easy to neglect capping something and ruin your product. I softened the antique border images with a light scraping of gesso. A bit of Dylusions was sprayed on the modeling paste and wiped away. During this experiment session I used gesso and or modeling paste with either acrylics, spray inks, or a combination of both. My sheets were quite warped, so I used a book press to flatten them before adding them to my stash. This was not one of my favorite backgrounds but I decided to challenge myself to give it some life. 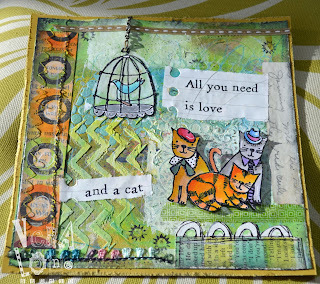 Bird in a cage and the cat family image were stamped with StazOn and embossed. Watercolor pencils were used to color the stamped images. The rest of the piece is assembled with my usual scraps and scribbles. I'm more of a dog person, so Carol Fox, this one is for you. 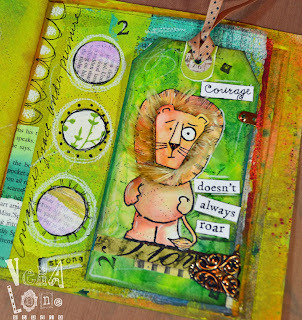 Courage doesn't always roar is a book title by author Mary Anne Radmacher. 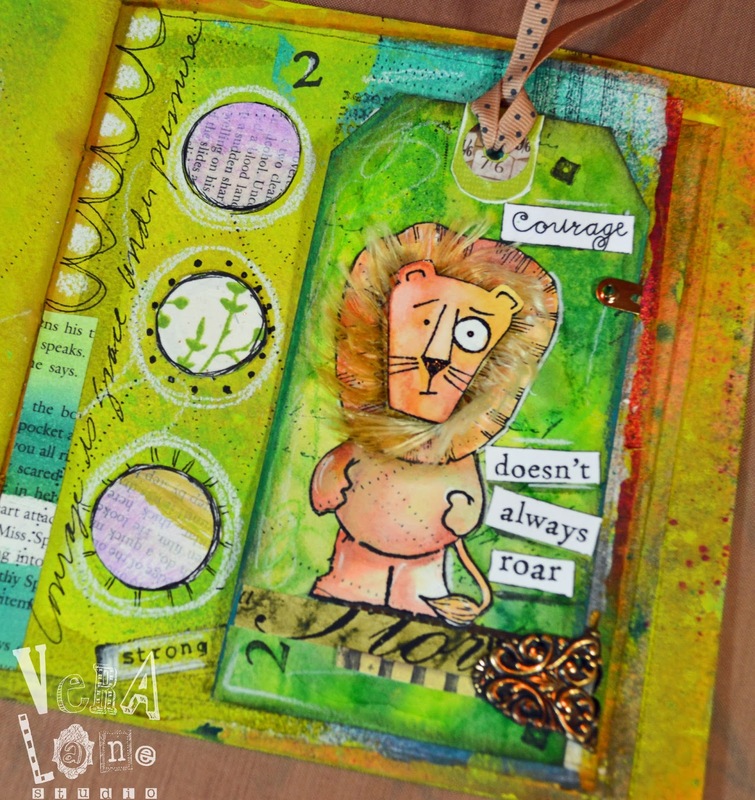 The title inspired me to put Stampotique's Cowardly Lion to use. At any given moment, be it ourselves, loved ones, friends, or co-workers that need that encouragement to get out of bed in the morning. Right now I can think of a few special people in my life who encompass tremendous courage, face the day without complaint and show tremendous determination and strength. Like the Cowardly Lion, our courage is internal -- it's always there, sometimes we need a little help finding it. I had some sheet of Arches 140lb watercolor paper that I had used for some art journals. I took the remaining scraps and bound and 8 x 8" pamphlet stitch journal. The pages are more random in size, just used what I had left. The backgrounds are sprayed with some Dylusions as well as home-made alcohol inks. For the tag, Cowardly Lion was stamped twice. Fibers were glued around the inside of the lion's head and a second head cutout was mounted on top. I keep paper scraps in a colored coded file on my studio counter so it allows me to do a little quick art using what I have on hand. I am still trying to settle into retirement life. I am missing the structure that my teaching position demanded of me as my ADHD personality has been having a free for all. Was it the gym first thing this morning or studio time? Or do I bake? So I thought I would share the result of research and tweaking; my healthy, nutty, Janet's (Vera Lane) homemade chunky granola. My measurements are never exact, but this will get you there, then you tweak to make it your own. I always add more nuts, and the liquid may be less. Dried fruit add in is your choice, I actually prefer this with no fruit. Since I make this all the time, all the dry ingredients are on the same pull-out pantry shelf, so it goes by quickly and I dump everything into a large stainless steel bowl. Spray two cookie sheets with vegetable or coconut oil. Sometimes I'll add Chia seeds. Whisk the above ingredients and pour into the dry ingredients. Mix well. Divide the mixture in half. Spread on two cookie sheets, leaving a hole in the center of the sheet for even baking. (Granola looks like a ring around the pan) Pack it down as you are arranging the mixture. Bake for 30 minutes. If your oven can only accommodate one sheet at a time, place one on a lower shelf and rotate trays at 15 minutes. Break apart and store in air tight container. I like to keep the granola in the fridge, it tastes much better cold. I warn you, this is addicting. When you need a little sweet and crunchy snack it's a healthy choice. My husband loves this for breakfast with some vanilla rice milk. Once you make it play with the ingredients the next go round and experiment. It's the egg white that makes the chunks, leave it out and it will be more cereal like. If you buy boxed cereal you will never buy another box again.